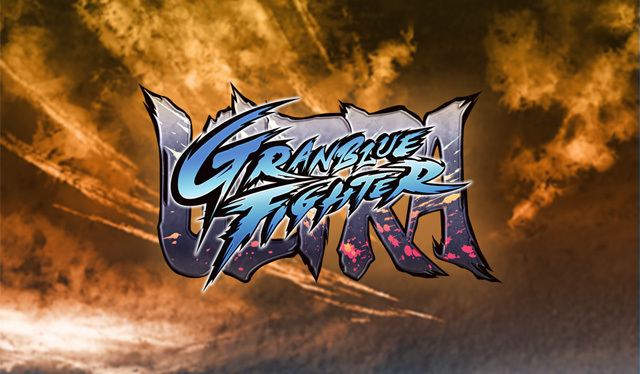 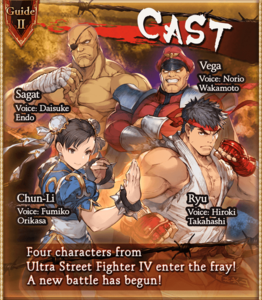 Granblue Fighter Ultra is a collaboration event with Ultra Street Fighter IV. 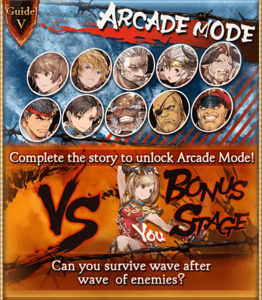 Granblue Fighter V is also available during the April 2016 iteration of this event. 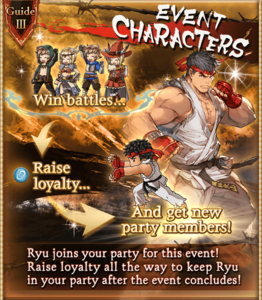 Ryu temporarily joins when the event starts. 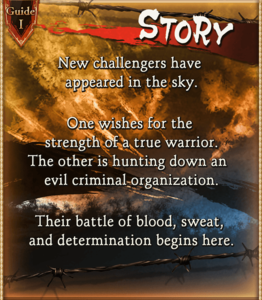 Earn 1000 loyalty by winning quests and raids with him in the party to keep him after the event ends. 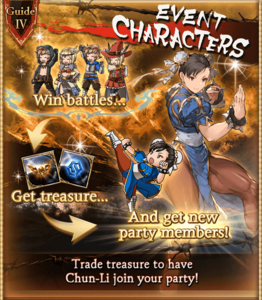 Chun-Li can be recruited by exchanging event treasures.